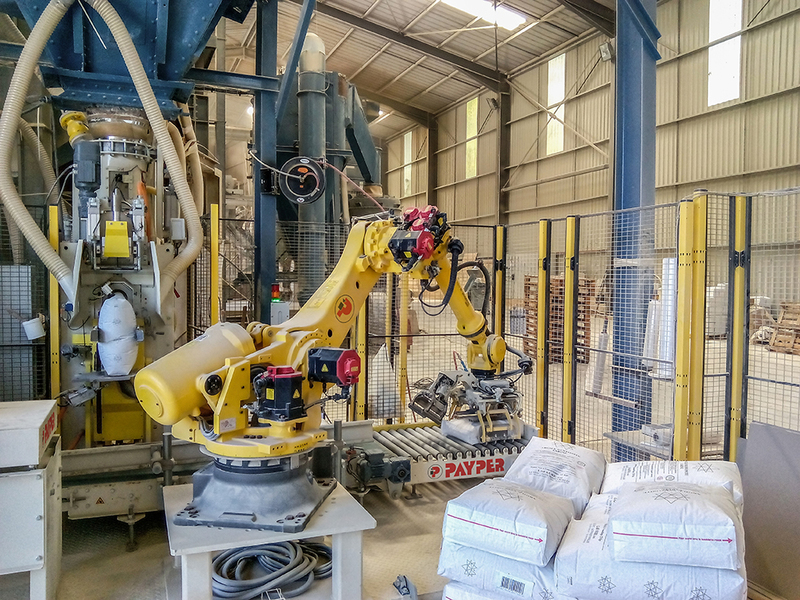 During the last couple of years, we have seen an increasing need for an ultra-compact solution for bagging and palletizing. In order to respond to the market, our R&D section has dedicated important resources to find the optimum solution for our clients. Now, we are pleased to present the answer to these needs: The ALL-IN-ONE. It fits into spaces with a very narrow footprint and it does not need much height to operate either. The ALL-IN-ONE consists of an air-packer valve bag filling station, an ultrasonic sealing system and a robot. 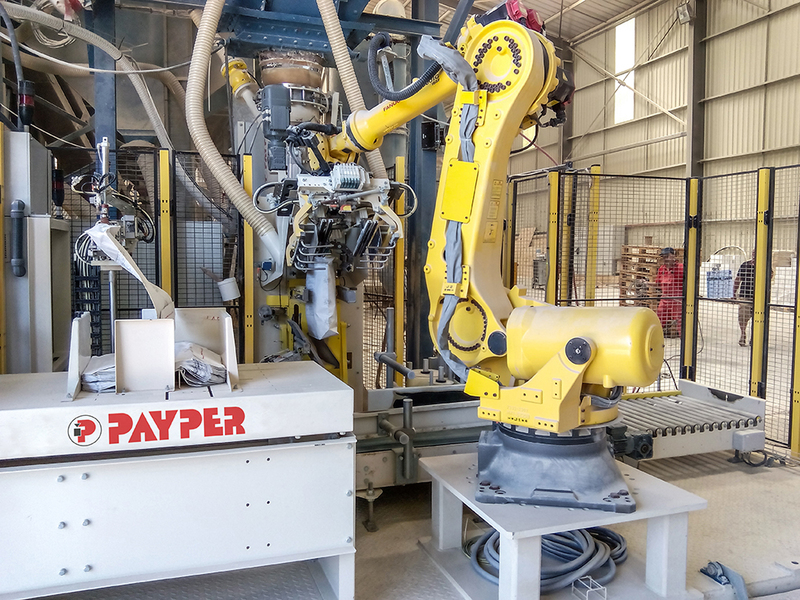 The robot picks up the empty bag from the magazine, presents it to the filling spout, picks up the filled bag from the transport band and places it on the pallet. This solution is available for different sectors, such as the food industry, and the chemical and building industries.